Today in Masonic History we discuss Cowans and Eavesdroppers. Cowans and Eavesdroppers are two common names used in Freemasonry. We cannot have a masonic meeting without the words Cowans and Eavesdroppers being used. As Freemasons we are reminded on a regular basis to be on guard for both. But what are they really? The etymology of both words are lost to time, so let's look at them one at a time. First let's talk about Eavesdroppers. The origin of the word is believed to refer to the water that drips from a roof, or eaves drippings. If you have ever seen a house or building that that doesn't have gutters on it, there is a line around the structure where the water running off the roof has eroded the ground. 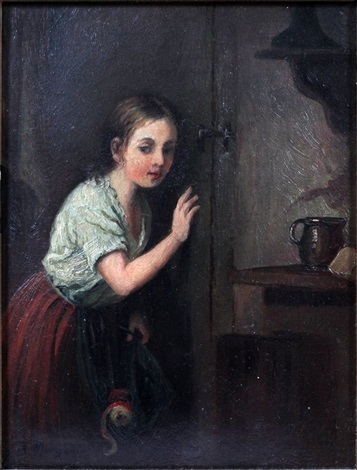 The idea of an eavesdropper came from someone who would stand so close to the structure that they would be on or inside that line and able to hear what was going on inside the house or structure. Another definition of eavesdropper, possibly due to Henry VIII, were people who would hide up in the beams of the house by the eaves. Henry VIII had wooden figures carved and placed in the beams of his palace. The idea was to make all in his court feel like that they were being listened to and the information was being reported back to the King. This may have something to do with the fact that in old lodges, the Deacons were charged with checking the rafters of the meeting room with their staff. Making sure that no one was listening to the meeting and unlawfully obtaining the secrets of masonry. Ironically a Cowan could very well be a successful Eavesdropper. The origin of the word Cowan is believed to be old Scottish. A Cowan was a person, often someone who worked as an operative mason, who was not part of a lodge and not formally trained. Extending from the fact that operative lodges were trade guilds (unions), a Cowan in modern terms would be a "scab", someone who either refused to join a union or in some way went against a union. A Cowan wold be any individual who would present themselves as a Freemason, having never joined the Fraternity. In a real sense a Cowan is a clandestine Mason. A Cowan may have all of the right answers to be able to get in to the door of a lodge room, although never became a Freemason. Albert Mackey stated in Mackey's Encyclopedia of Freemasonry that Cowan was a word that was uniquely Masonic in it's origin. Regardless of the origins of the words, Cowans and Eavesdroppers for Freemasons might as well be one word. It reminds of us of our obligations to the fraternity and to remind us that we should be careful of who we let into our lodge room, and by extension those that we let into our life.